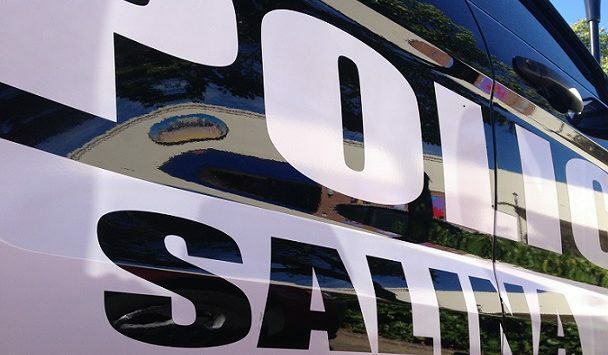 A Salina man was taken into custody on Tuesday after his girlfriend told police about an argument that turned violent between the two last week. According to Sergeant Gary Hanus, officers arrested 22-year-old Darion Mitchell, Jr., after interviewing the female victim. Police say the woman had swelling and bruising on her face from the physical struggle that took place in a home in the 500 block of Charles Street last Friday. Mitchell is now facing charges that could include aggravated domestic battery. The woman did not require medical treatment.